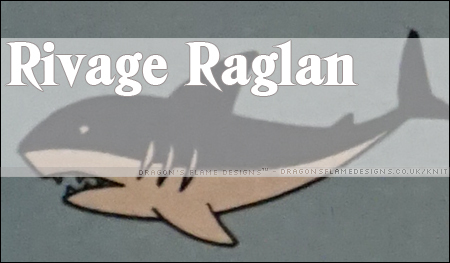 After my attempt at making the Shark Rivage Raglan, I wanted to try a different pattern that was a little more fitted without being designed to be skin tight. 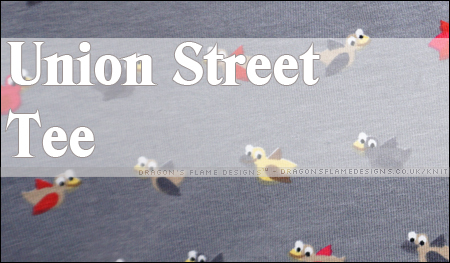 Enter the Lane Raglan* by Hey June Handmade, which actually comes complete with a FBA pattern piece to save the hassle of trying to add in a FBA to a raglan top (which is something I wouldn’t have a clue how to do!). 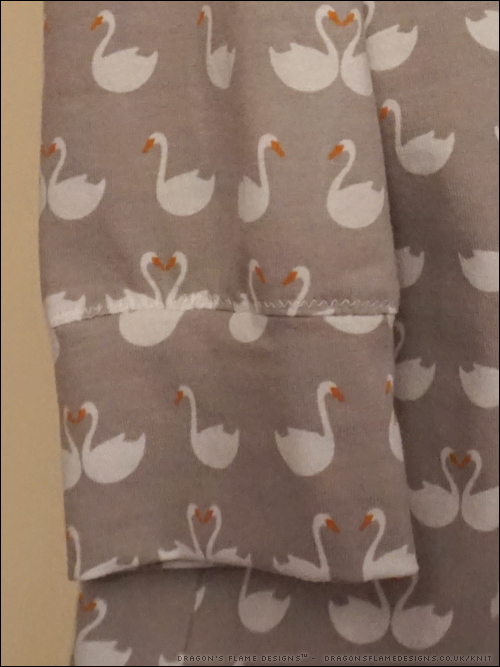 Ignoring the fact that I cut the fabric upside down on one sleeve, so those swans are swimming the wrong way up, I’m really pleased with how this came out. 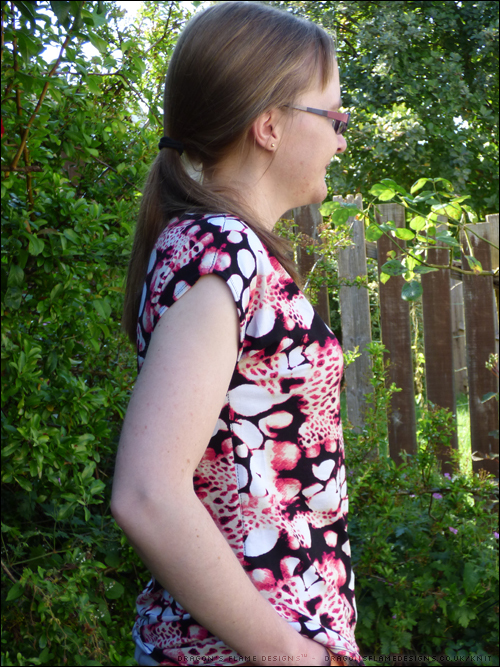 Adding the neckband was a little challenging in places, but once I got my sewing machine to co-operate, it went on quite neatly. 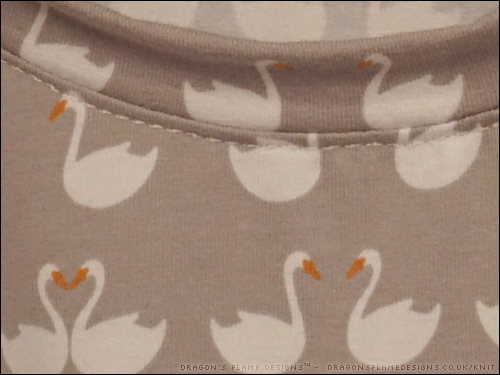 I topstitched the neckband in place with a stretch stitch, but reverted back to a zigzag for the cuffs as that is a more forgiving stitch if you’re slightly off line! 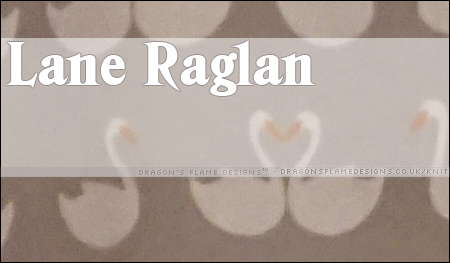 This entry was posted in Clothing, Sewing and tagged clothing, Hey June, lane raglan, sewing, t-shirt on April 10, 2018 by Sewist. 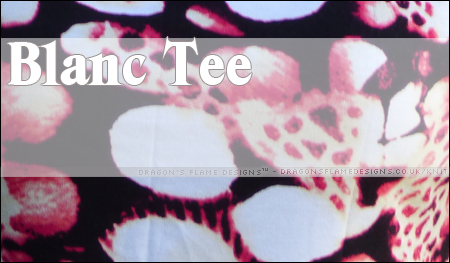 Rummaging through my bag of UFOs, I came across the pieces for this Blank Slate Patterns Blanc Tee. I’d purchased the fabric over a year ago, cut out the pattern, then didn’t have the confidence to figure out if the sizing was accurate, or if I’d need to grade the seam allowance at the waist. 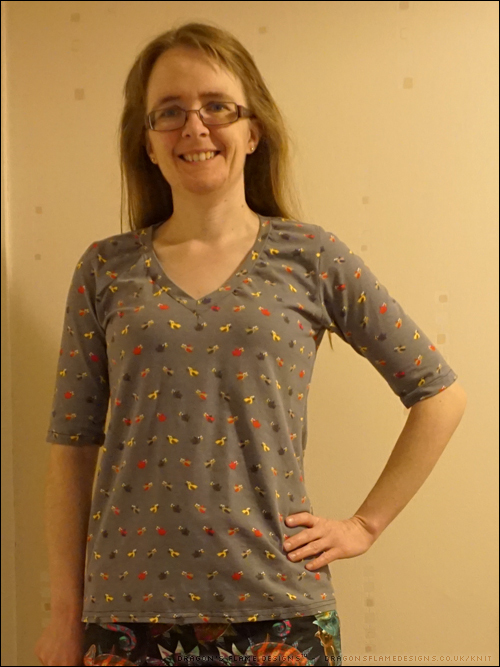 I decided it was about time I finished it, and stitched the seams exactly as the pattern said. Blanc is quite a loose fitting top, and that style coupled with the really stretchy nature of the fabric, meant it really looked oversized in the shoulders and chest. 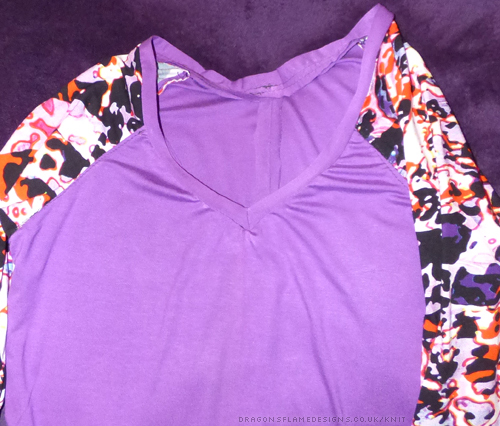 Putting it on inside out, I pinned out a new armhole and sideseam, which gives it a much better shape. 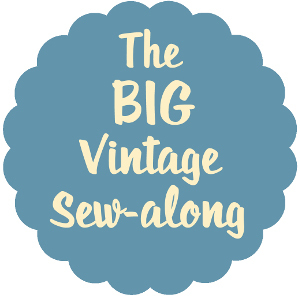 Oops – I hadn’t realised the fabric was quite so creased…. I think this proves I need to make use of the iron a bit more! The neckline is wider than I’d normally wear, and my decision to simply turn and hem the neck has left the neckline a little saggy. 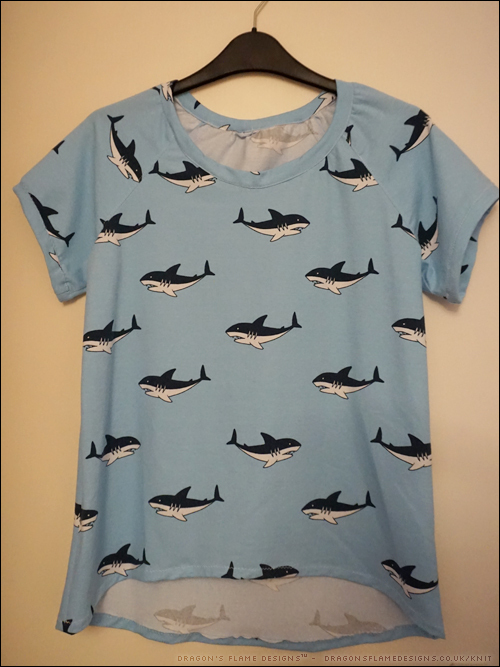 I think next time I make a Blanc Tee, I’ll use some bias binding on the inside just to give the neckline some structure. 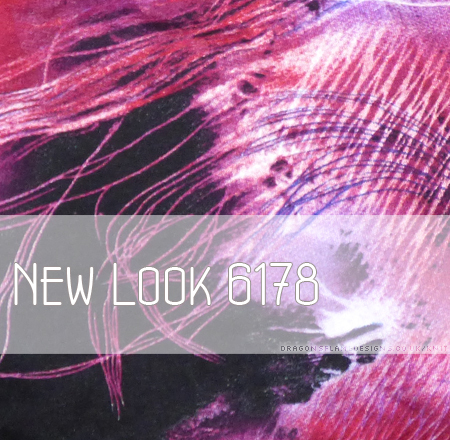 This entry was posted in Clothing, Sewing and tagged Blank Slate Patterns, clothing, sewing, t-shirt, tee on August 19, 2017 by Sewist. Sew Magazine came with a free New Look 6230 pattern a couple of months ago, and I was drawn to the baseball t-shirt look. 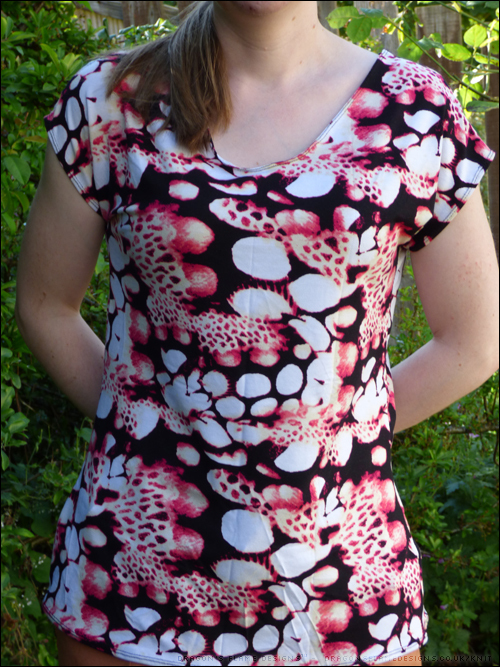 It doesn’t have set-in sleeves, which is a nice bonus as set-in sleeves and me don’t tend to get on! 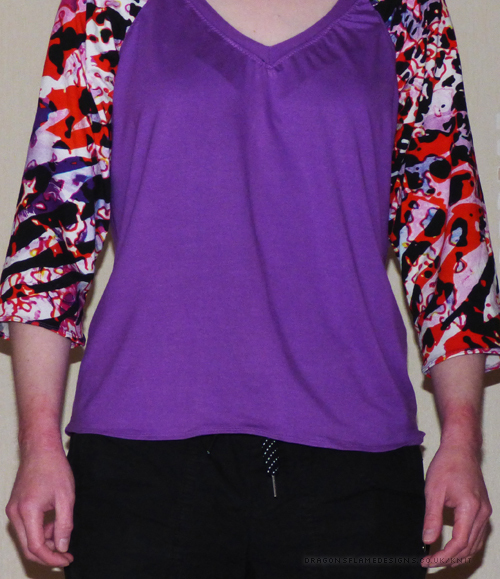 I found some really funky fabric, but I decided it was a bit too busy to use for the entire top, so I balanced that out with some plain purple. 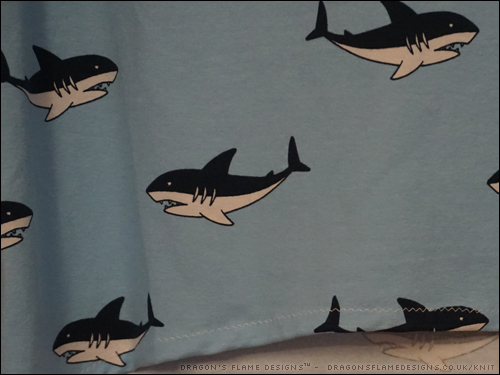 Again all the seams are zigzagged, including the top stitching, so they should stretch with the fabric. I did get in a bit of a mess trying to attach the collar, but apart from a few pleats and stretch marks on one side, it looks pretty good. 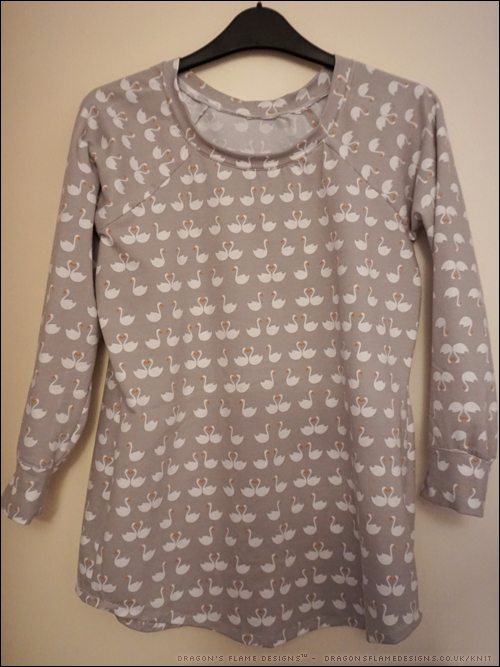 I’m still struggling to work out the size I need though – this one was way too wide on the neckline, so I brought in the body-sleeve seams by about 1/2″ on both sides to try and narrow the shoulders a little. 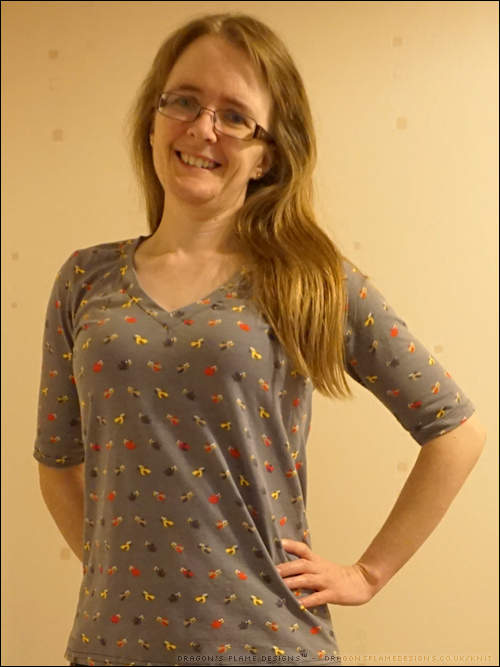 The sleeves are nice and roomy, but I think if I make another of these, I would try the smaller size for the shoulders, and just widen it a little at the waist to try and get a more suitable width on the shoulders. 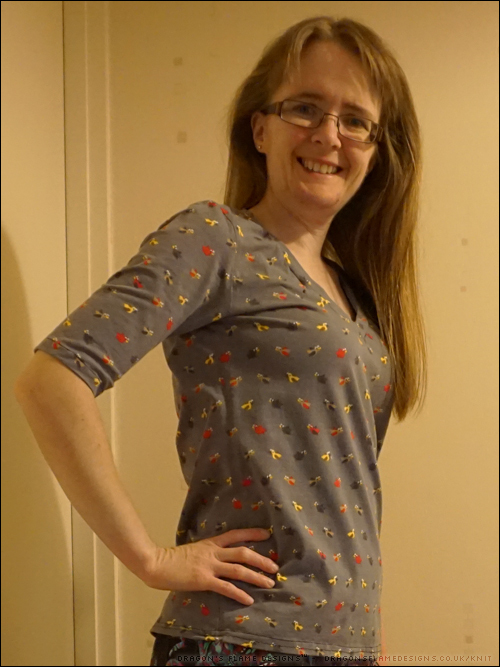 This entry was posted in Clothing, Sewing and tagged sewing, Simplicity New Look, t-shirt on May 3, 2016 by Sewist. 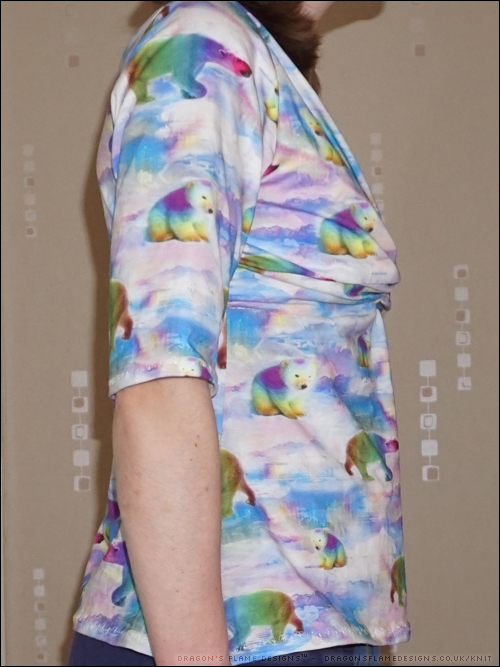 I’ve been struggling to get the sizing worked out for fitted clothing like tops and dresses – no matter how closely I follow the instructions, there’s still a weird bit of excess fabric on the neck, or it’s too snug on the waist. So I thought I’d try using some jersey offcuts I’d bought as a bargain buy from my local fabric shop, and make myself a vest top or two. 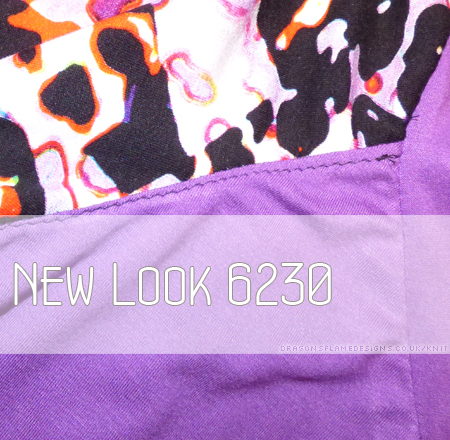 New Look 6178 is relatively easy to make, with no darts or equally awkward points to mark and sew. 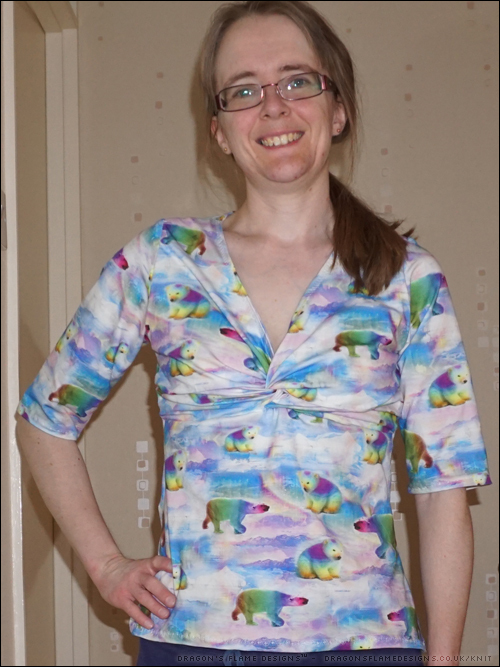 The straps were the most fiddly part, as the stretchy nature of the fabric didn’t lend itself to being pinned…. I think clips might have worked better, but eventually I got them to behave. 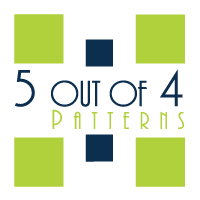 I’m only 5′ tall, so I did shorten the pattern to ensure the waist was at the right point. Unfortunately this means the first one (the black & reddy pink vest on the left) is a little shorter than I’d like, but it’s still wearable. 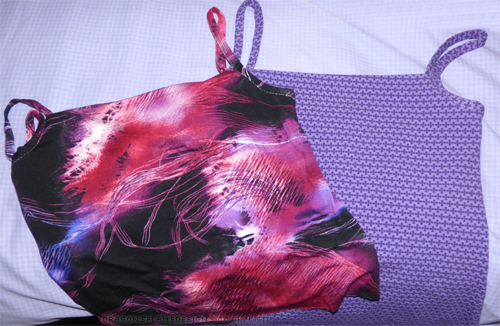 I added several inches onto the length for the purple one, so I can find the ideal length before hemming it. Stitching on my regular machine, I used a zigzag for the main stitching, but I’ll use a double needle and a straight stitch for the hem, just to give a more professional finish. 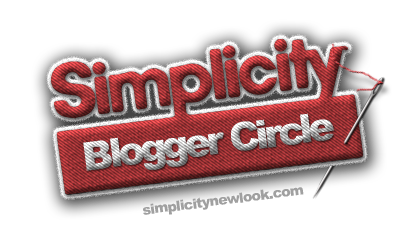 This entry was posted in Clothing, Sewing and tagged 6178, Simplicity New Look, t-shirt, vest on April 15, 2016 by Sewist.